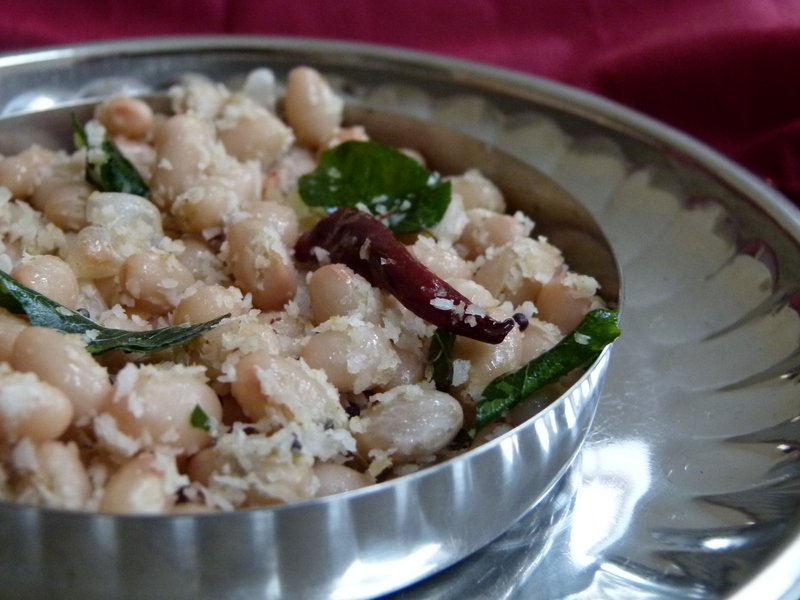 I’ve named this dish as “Beans Sundal” as you can put whatever beans you want! 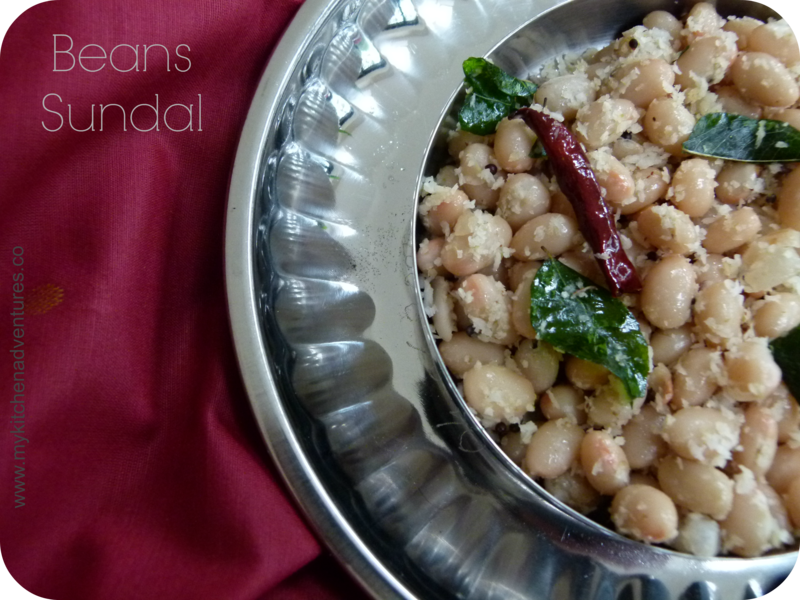 I didn’t have the usual black-eyed beans, Chick peas or Black chick peas in stock so I tried this Sundal with Haricot beans (the beans that are used to make baked beans!). In many western countries you can find Haricot beans quite readily in the shops, and they worked really well with this recipe! This also works with other beans such as Cannelini and Broad beans. So do give it a go! Although ‘Sundal’ is often associated with the Hindu festival of Navaraathri/Dasara, you can also prepare this for a healthy snack which is very quick to make. I have made this a few times when we’ve had guests popping over for tea with short notice! 1) Heat the oil in a pan and then add the mustard seeds. As soon as it starts to splutter add the urad daal, curry leaves, red chillies and finally the Asafoetida (if using). 2) Add the cooked beans and stir well and until any excess moisture evaporates. Then add the grated coconut and salt and mix well again for about 2 minutes on a medium flame. 3) Serve hot or when cooled. For a different flavour, add a teaspoon of ground coriander powder after Step 1.